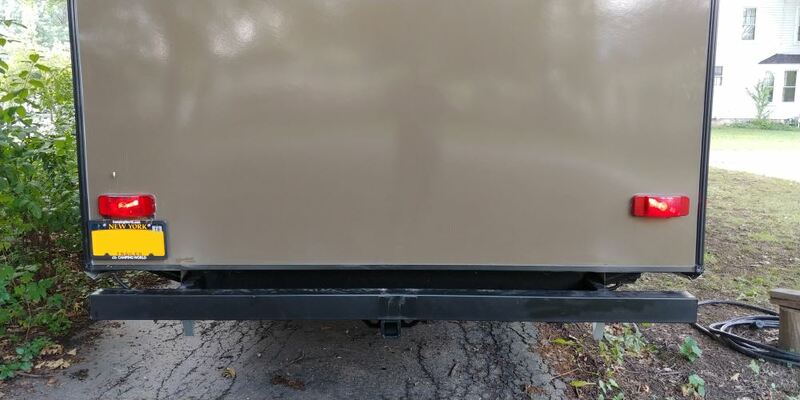 Use this receiver to carry a bike rack or cargo carrier on the back of your trailer. Do not use for towing. Unit welds onto I-beam, C-channel or rectangular fifth-wheel trailer frames. Lowest Prices for the best rv and camper hitch from Ultra-Fab Products. Ultra-Fab 2" Trailer Hitch Receiver for Trailer Frames part number UF35-946403 can be ordered online at etrailer.com or call 800-298-8924 for expert service. 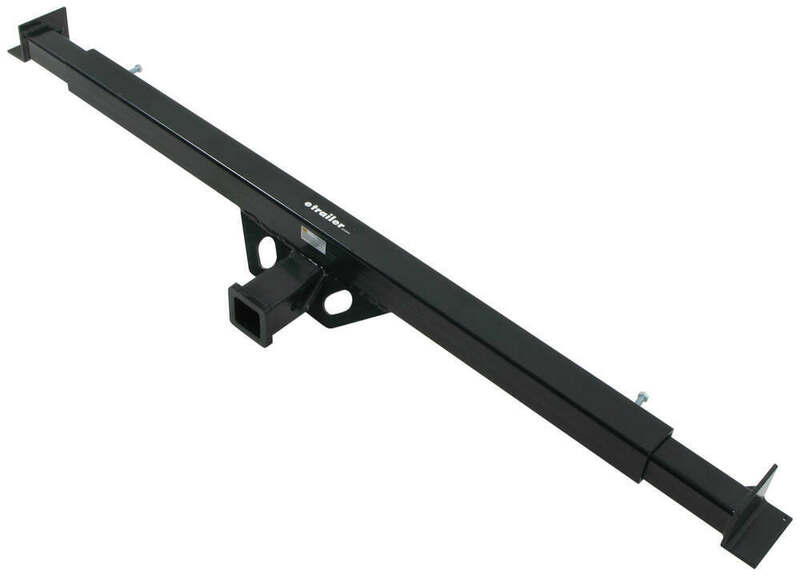 Use this receiver to carry a bike rack or cargo carrier on the back of your trailer. Do not use for towing. Unit welds onto I-beam, C-channel or rectangular fifth-wheel trailer frames. 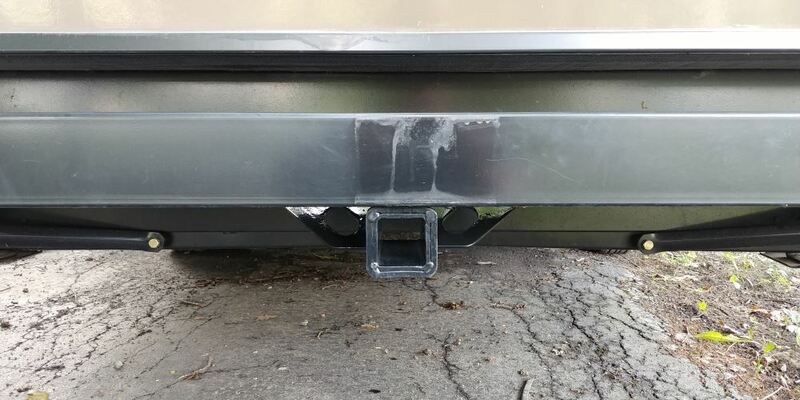 Adjustable hitch from 47-1/8" to 77"
Curt RV Bumper Hitch - 2"
Speaker 1: Today we're taking a look at the Ultra Fab 2" Trailer Hitch Receiver for trailer frames. 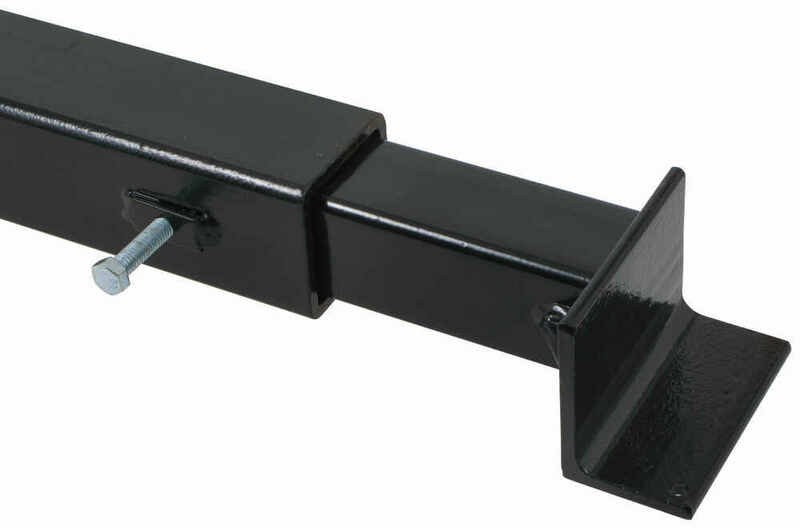 This unit provides a 2" by 2" trailer hitch receiver opening at the rear of your trailer or RV. 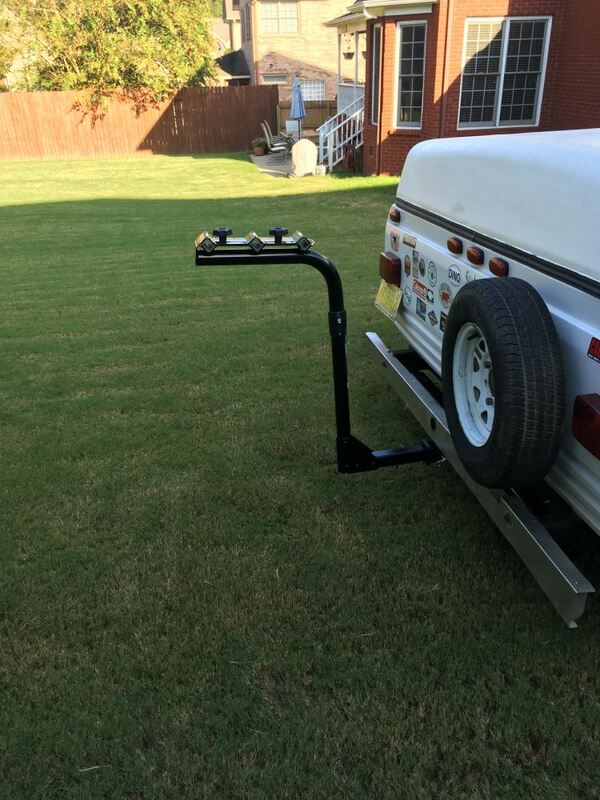 This is perfect for mounting the bike rack, cargo carrier or other hitch accessory. Please keep in mind that this is not to be used for towing applications.It welds onto I-beam, C-channel or rectangular trailer frames. Also keep in mind that a gusset may be required to weld onto I-beam frames. And a plate may be required to weld onto a C-channel frame. Its constructed of heavy-duty, powder coated steel. Does a great job at resisting rust and corrosion. Features a 3500-lb weight load capacity and a 350-lb maximum tongue weight capacity. You always wanna be careful not to exceed the RV frame rating provided by the manufacturer. And one of the neat features about this unit is that it's adjustable.So it has these arms right here that can slide out. It's able to adjust anywhere from 47-1/8" all the way out to 77". And it is a weld on installation. So these arms extend out. Really nice design. Same construction and same finishing as the main hitch. And then it comes with some hardware here, and those are set bolts. So on the back side, once you have the arms extended where they need to be, you thread in the bolt here to kinda lock that arm into position. And again, it's a weld on installation designed to be welded onto the RV or trailer frame.Again, adjustable from 47-1/8" to 77". Right here you have a 2" by 2" opening. This will accept a standard 5/8" diameter hitch pin or hitch lock. And then you have safety chain loops right here that provide a suitable point for securing any accessory that you might have if it has an accessory strap or a tie down strap or a cable or chain. That's what these are used for. Overall really nice design. And that's gonna do it for today's look at the Ultra Fab 2" Trailer Hitch Receiver for trailer frames. 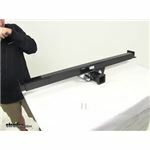 Order: RelevanceNewestRating - High to LowRating - Low to High Use this receiver to carry a bike rack or cargo carrier on the back of your trailer. Do not use for towing. 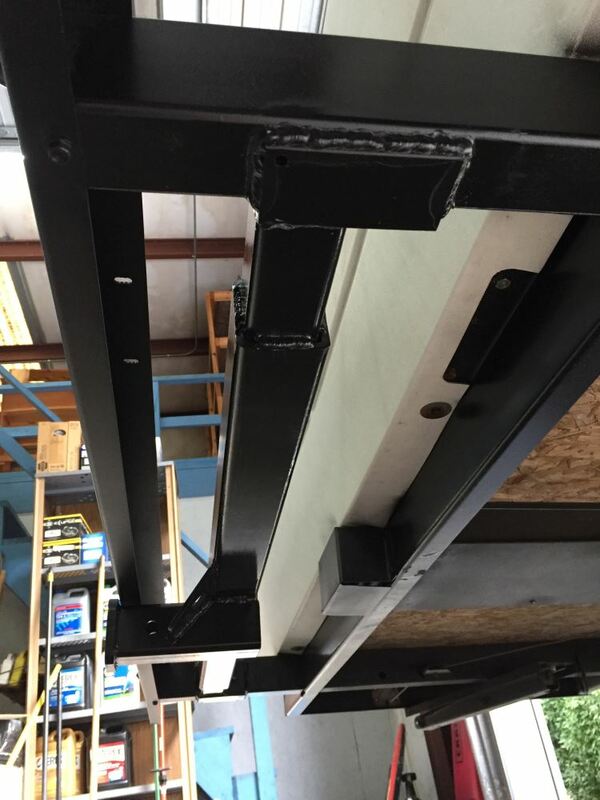 Unit welds onto I-beam, C-channel or rectangular fifth-wheel trailer frames. 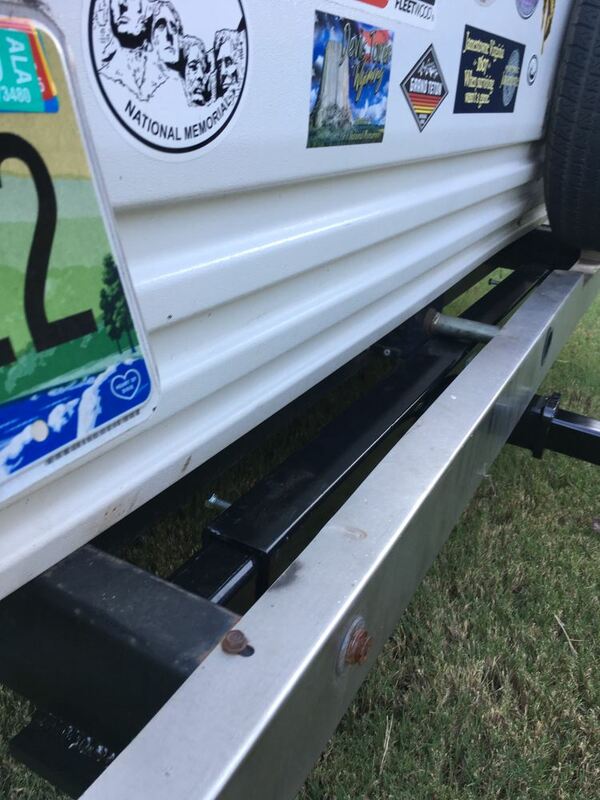 Do you have a question about this RV and Camper Hitch? What Bike Rack to use With a 2017 Keystone Montana 3820FK to Carry a Pair of E-Bikes? The trailer hitch receiver I recommend is the Ultra-Fab # UF35-946403. This trailer hitch welds onto the trailer frame. 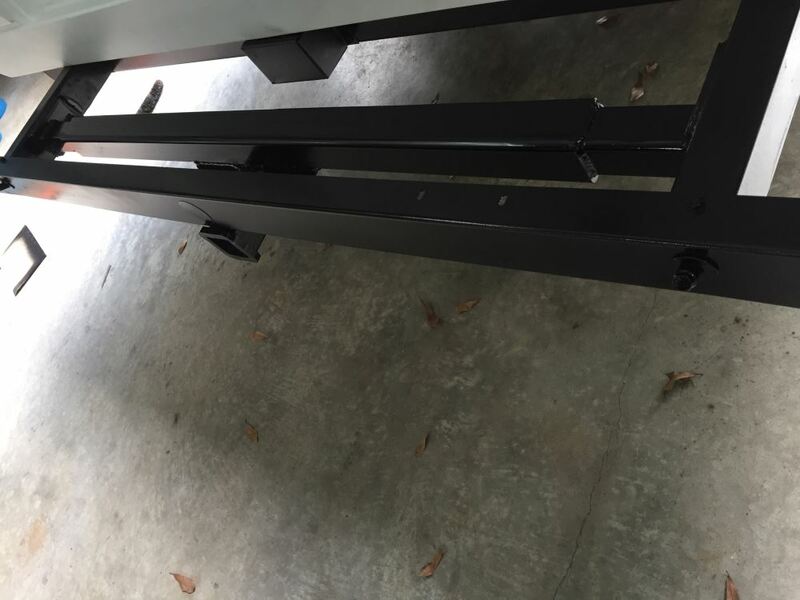 This hitch will work with I-beam, C-channel or rectangular trailer frames and adjusts to work with frames from 47-1/8 to 77 inches. 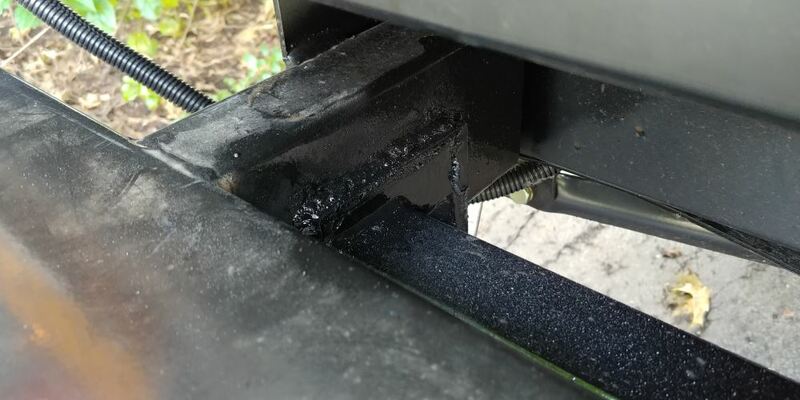 You can compare the mounting bracket of the # UF35-946403 hitch to the Curt hitch # 13703. The Ultra-Fab hitch will sit about 3 inches higher than the Ultra-Fab hitch does. I have attached a photo of both hitches you can compare. We do have some options for but Curt trailer hitch # C13701 won't be wide enough to fit a frame width of 69 inches. It fits frame widths of 18 to 51 inches. 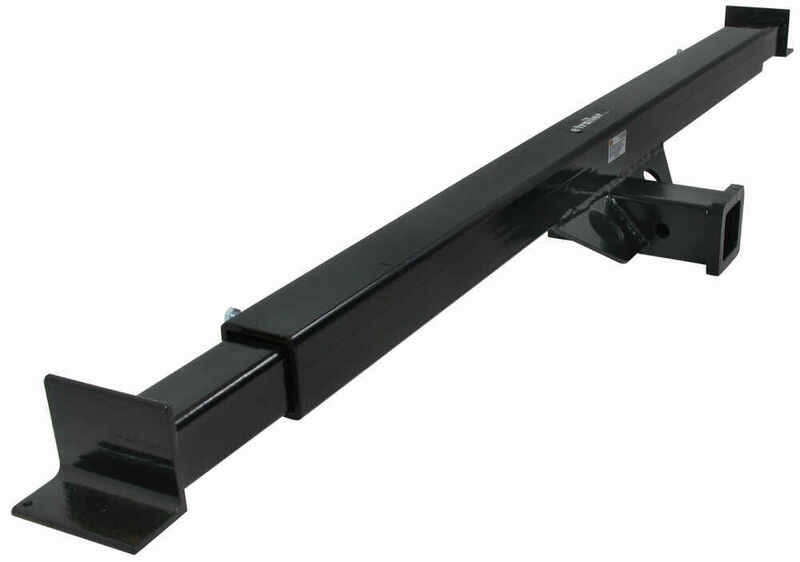 We have Ultra-Fab hitch # UF35-946403 that fits frame widths of 47 to 77 inches or Curt hitch # 13703 that fits frame widths of 22 to 72 inches. 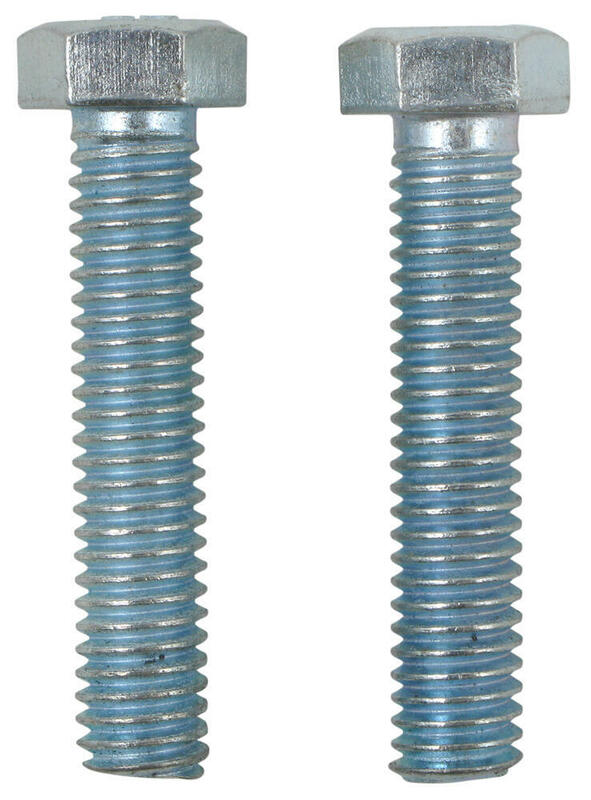 I have included links to the installation instructions for both and a video showing an example installation of the Curt hitch. The Ultra-Fab Hitch # UF35-946403 weighs 50 lbs; I went to the warehouse to measure how far the receiver extends away from the tube and found it to be approximately 5-3/4". As for how the Ultra-Fab welds onto an I-beam frame I contacted the manufacturer and was told that in order to do this, gusset plates would need to be fabricated and used by the installer. Should you also be in need of a bike rack, I have added a link to the racks we carry which are approved for use with an RV. For your 2017 Winnebago 2106DS, I recommend the Ultra-Fab 2" Trailer Hitch Receiver for Trailer Frames # UF35-946403. This is a weld on hitch to your Winnebago frame. It is adjustable from 47-1/8 to 77 inches and has a maximum tongue weight capacity of 350 lbs. It is powder coated for corrosion resistance. It will work great with a cargo carrier or RV rated bike rack with 2 inch receiver compatibility. Highest quality rv and camper hitch for the best price. Most detailed, accurate rv and camper hitch information available.